While Real estate seems to run in the family Colin initially had other career plans. 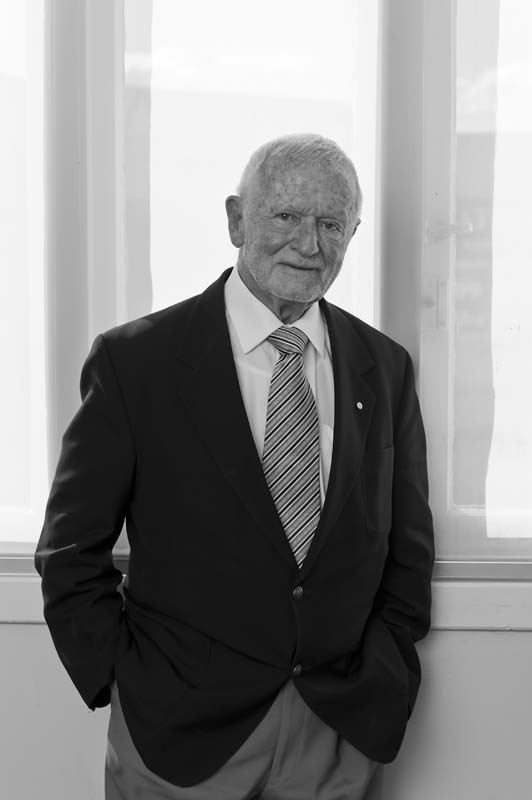 Completing his schooling in 1946 he began a law degree at Sydney University. After spending 2 years while articled to a solicitor he discovered the legal profession was not for him however it was very valuable experience in later life. After a brief period in the advertising industry Colin entered real estate under the then president of the Real Estate Institute, Bill Duncan. He found Bill an extremely charismatic character who had a strong and positive influence on him. Colin joined Crolls in 1950. When his father who founded the firm in 1904 passed away in 1956 he took over the family business at the age of 27. Shortly afterwards he made a brief foray into property development building a number of residential units around Mosman, North Sydney, Burwood and Drummoyne. He made a reasonable profit but nothing outstanding and returned to concentrate on our core business of agency work. Colin points out that a number of clients have been involved with the firm for over 4 generations. He sites the example of an elderly lady who approached him in 2000 wanting to sell her house which had originally been sold to her uncle by Colin’s father in 1911. Colin has been involved in numerous community organisations and projects. For a number of years President of the Neutral Bay Chamber of Commerce and past President of the local Rotary Club. He is currently in an advisory role through the Chamber in the North Sydney Council Main Street Program. This project involves substantial upgrade and beautification of the streetscape around Neutral Bay junction and a long standing battle to improve shoppers parking. Colin has lived at Balmoral Heights for the past 50 years. A typical day involves a morning swim below the house prior to going to the office. Outside of work he takes time out to sail his yacht Carrera.